Today I am thrilled to welcome you to my stop on the Cursed blog tour. Cursed is written by Thomas Enger and is the fourth book in the Henning Juul series (but the first one I have read which should come as no surprise to regular visitors!). I do love nordic noir and have previously indulged in the literary delights of Gunnar Staalesen, Agnes Ravatn and other talented Scandinavian authors. So with this in mind, I was excited to read Cursed. I wasn’t disappointed. Thomas Enger has created a mesmerising tale which draws you in from the opening pages and keeps you glued to the story throughout; all the way to the thrilling conclusion. And what a way to end a novel! I’m already champing at the bit for book five in the series. My heart really went out to Henning Juul who I immediately liked. Henning isn’t your usual crime thriller hero as he’s an investigative crime journalist and not a harried detective. It was a refreshing change for me to be reading a novel which wasn’t set in the midst of a major police investigation. The relationship between Henning and his ex-wife, Nora Klemetsen broke my heart at times. And the tragedy suffered by the estranged couple I found a hard read. Henning’s all-consuming desire to discover who was responsible for his young son’s death had me riveted and cheering him on from the comfort of my sofa. Particularly with the introduction of Nora’s new partner, Iver and their earth shattering news. There are many different threads to the story and it’s hard at times to see how they will all come together. But come together they do in an explosive finale. The pictures painted by the author are so clear that you can’t but help feel you’re there, living the action with them. I loved the different characters of the Hellberg family. Each one individual and each with their own secrets. But how far are they prepared to go to keep those secrets? Well, you’ll have to read Cursed for yourself and find out! Would I recommend this book? I would. If you’re anything like me and love to read books where at the centre of the crime you find a wealthy, secretive and controlling family then you will love Cursed. Fantastic, believable characters…some you will love, some you will loathe. Beautifully atmospheric, completely gripping and full of intrigue. Orenda Books, you have another gem of a novel on your shelf and I can’t wait for book five. I chose to read and review an ARC of Cursed. My thanks to Orenda Books for providing me with a copy. The above review is my own unbiased opinion. “What if the person you love most in the world was in terrible danger … because of you? Outstandingly good! This is the first book I’ve read in a while that I’ve really immersed myself in. I went through so many emotions whilst reading which always makes a book a favourite read for me. There were times I felt genuine sadness and empathy for Toni, and other times I despised her and wanted to give her a good shake! The chapters are either set in the present day or three years ago and told from several different perspectives. The chapters narrated by Evie broke my heart, pure and simple. K.L. Slater manages to write the 5 year old voice so incredibly well that I was near to tears at times. I should add that I have a 6 year daughter myself so I could easily picture her speaking in a similar way to Evie and having similar thoughts. The tagline of this book is no understatement; a gripping psychological thriller with a killer twist you’ll never forget. It sounds like marketing mumbo jumbo and something you should take with a pinch of salt. Let me tell you though, the tagline, it’s true. There is a brilliantly crafted twist which makes this book go from a great read to a ‘fantastic, remember it for some time to come read’. I couldn’t quite believe what I was reading and had to go back and re-read the section again. It happens so subtly, so beautifully that you almost miss it…only to realise shortly afterwards what is going on. Superb writing! Would I recommend this book? Of course I would. It’s a completely mesmerising tale which I devoured from it’s shocking buzzing start to it’s explosive end. I can’t wait to read more from K.L. Slater. She’s definitely on my ‘authors to watch’ list now. The characters make this story; from the repulsive TA, Miss Watson to Bryony, the overbearing, hateful boss to Toni, the barely coping, newly single mother. All brilliant, all wonderfully written. Blink gave me goosebumps. I chose to read and review an eARC of Blink. My thanks to Bookouture and K.L. Slater for providing me with a copy. The above review is my honest and unbiased opinion. “How would you piece together a murder? I’m not entirely sure what is going on at the moment. I’m a little confused as all of a sudden I seem to have the time to read non-blog tour books. It’s a wonderful thing, and I hope it lasts…this must be what other bloggers feel like! Literary agent Peter Katz receives a well written, thoughtful submission which piques his interest. It’s about a murder, but it’s not just any old fictional tale. It’s about a real life, high profile crime which took place 25 years ago. As is customary in the world of publishing, Peter only has the first few pages of the manuscript. But he knows he needs to read more. Who killed Professor Joseph Weider? Is this the author confessing? Or a complete work of fiction? I loved the idea of this book. Any book that’s, well…about books tends to grab my attention. The story is divided into three parts and the story is told by three narrators; the literary agent, the investigative journalist and the retired cop. Events take a turn for the worse when the manuscript Peter Katz is so desperate to find goes missing. But he needs to know who killed Professor Weider. Yes, his interest is professional but if he’s honest it goes much deeper than that now. I enjoyed reading The Book of Mirrors but I’m afraid it didn’t have the wow factor for me. At times, I wondered whether I had accidentally picked up a psychology textbook by mistake. It was a fascinating read but not a very exciting one. I really enjoyed the first part narrated by literary agent, Peter Katz. I’m afraid I was stating to lose interest when the investigative journalist stepped up to the plate and by the time I had reached the third part narrated by the retired cop, I was completely lost. Before I conclude this review I have to say something about Laura Baines. For me she was the character that outshone every one else. Laura is one of the characters who makes a regular appearance throughout the story. And each and every time she does make an appearance she is a completely different person. I loved that. I loved grown-up, career driven Laura. She made me shudder at one point with her icy attitude. Would I recommend this book? I would but it’s a slow burn of a novel. The beginning is great, I found the end satisfying but it lost it’s way somewhere in the middle. I chose to read and review an eARC of The Book of Mirrors. Many thanks to Arrow Publishing and NetGalley for providing me with a copy. The above review is my own unbiased opinion. Inspired by false memories from his childhood and written in the author’s second language, remarkably The Book of Mirrors nearly wasn’t published at all. Having been rejected in the US, E. O. Chirovici took the novel to a small UK publisher who advised him to try just one more time to get it to a wider readership. He did, and The Book of Mirrors was immediately signed by a literary agent, sparking a UK auction and world-wide rights sales. E. O. Chirovici now lives in Brussels with his wife. He has had a prestigious and varied career in the Romanian media and has also published novels and short stories in his native language. The Book of Mirrors is his first novel in English and is being published in January. “Reeling from a brutal attack that leaves her best friend dead and her badly injured, Lisa Fulbrook flees to the countryside to recuperate. With only vague memories of the event, she isolates herself from her friends and family, content to spend her days wandering the hills with her dog, Riley. In Dare to Remember, my debut novel, one of the areas I wanted to explore was the concept of our lives turning on a sixpence. Some people, I’ve observed, know their lives are set in a certain direction; by middle age it will all be sorted out. They will have achieved a certain position, career, family ambition, financial level, and it will all go on getting better – or at least, staying the same. Some people’s lives do indeed happen that way. But many of us start with an idea of what life will look like in ten, twenty, thirty years, only to find that actually things turn out very differently. But so often life sends us a curved ball, to use another cliché, and our lives click into another dimension. In my novel, Lisa and her best friend Ali are living happily in the city, not expecting anything to change – until it does, when a catastrophe occurs. Lisa loses all memory of the event which changed everything for her and struggles to recover from a serious injury while mourning Ali’s death. The story follows her efforts to get her life back on track, knowing that she won’t make progress until she knows – remembers – what happened. When she does remember, she knows her life will never be the same. But is her life, now taking a different course, better or worse? Or just different. I’m not talking about myself here, though some things have happened in my life that I didn’t expect. My life certainly didn’t turn on a sixpence. But I like the idea that we should never be complacent; we should enjoy, or at least come to terms with, the moment. Perhaps we can never predict how our lives will turn out, or how we might be affected by events along the way. But we may be able to take what comes and turn it, guide it, create a path for it so that it becomes what we wanted all along. A fascinating post, thank you Susanna. It’s made me want to read Dare to Remember even more than I did before! Susanna is a psychological crime writer who lives in Marlow, Buckinghamshire. Her day job in PR both demands and celebrates writing and she’s helped promote everything from websites to wine. She writes every day, all the time: news, articles, speeches, websites, blogs – and now novels. She likes dark, contemplative stories with a twist; she’s fascinated by the psychology of relationships and the impact of insignificant events on people’s lives. Susanna started writing fiction after attending a course at the Faber Academy. Other passions include her dogs, who keep her grounded, and tennis, which clears her brain of pretty much everything. Yay! I’ve managed to read one of my own books for the first time in a while. Not only is it one of my books, it’s one my husband gave me (if you missed my ‘the gift that keeps on giving’ post and don’t know what I’m on about, then please click here). I have a penchant for dark reads. I also love translated crime, particularly German and Japanese novels (well…everyone else loves Nordic noir, don’t they!). So this book, originally published in and set in Germany, was an absolute joy to read. First off, I should mention that this is a short read. I’m not a fast reader but this took only a couple of hours from start to finish. The themes of the book (aside from the grisly Truman Capote-esque, ‘based on a true’ story murder) are quite hard-hitting and distressing. I can’t say what they are though as that would be giving too much away. The Murder Farm is set in post-war Germany in a small farm based community where outsiders are condemned before they set foot in the village. But that doesn’t stop the locals having a say about their own. Particularly when it comes to the Danner family, who have a habit of keeping themselves pretty much to themselves. Everyone knows what happens at the Danner farm. They employ ‘tramps’ and ‘ne’er do wells’ to work the land. Not to mention the……other thing. When the entire household are found slaughtered, everyone has an opinion and they’re more than willing to share it…. I loved the slow build of this book. It’s presented beautifully with a statement from one of the locals, and then immediately followed by what actually happened. I loved seeing the difference in what was perceived and what was real. It’s a dark, edgy story which is done to perfection with heaps of lovely small town paranoia. At the end of the novel you and you alone discover whodunit. There is no high action arresting of the culprit, no hauling over the coals. Just a return to normal small town life; one with a murderer in their midst. Andrea Maria Schenkel, born in 1962, lives in Regensburg. 2006 saw her debut The Murder Farm cause a sensation. The novel was awarded the Martin Beck Award for the best international crime scene in 2007 with the German Crime Prize, the Friedrich Glauser Prize and the Corine, 2008. The book sold over a million times, was translated into twenty languages and filmed for cinema. For her second book Kalteis (2007) she received for the second consecutive time the German Thriller Prize. Recently published Finsterau (2012) and Deceiver (2013). Welcome to my stop on the City of Drowned Souls blog tour. City of Drowned Souls is the third book in the Elisenda Domènech Investigates series and is written by author, Chris Lloyd. I have read and thoroughly enjoyed book one in the series, City of Good Death. To celebrate the release of City of Drowned Souls I am thrilled to republish my review, along with a spotlight on book two, City of Buried Ghosts and book three, City of Drowned Souls. “A serial killer is targeting hate figures in the Catalan city of Girona – a loan shark, a corrupt priest, four thugs – leaving grisly clues about his next victim. Each corpse is posed in a way whose meaning no one can fathom. Elisenda Domènech, the solitary and haunted head of the city’s newly-formed Serious Crime Unit, is determined to do all she can to stop the attacks. She believes the attacker is drawing on the city’s legends to choose his targets, but her colleagues aren’t convinced. Battling against the increasing sympathy towards the killer displayed by the press, the public and even some of the police, she finds herself questioning her own values. But when the attacks start to include less deserving victims, the pressure is suddenly on Elisenda to stop the killer at all costs. I found this crime debut a thoroughly enjoyable and interesting read. When you finish a book and feel like you’ve been on holiday, well, surely that’s a very good thing indeed. There is a murderer on the loose in Girona. The killer is using Girona’s rich history of myths and legends to rid the city of its most despised residents; a loan shark, a corrupt priest, a group of thugs. Sotsinspectora Elisenda Domènech and the new Serious Crime Unit are tasked with catching the killer. Then the killer turns their attention to less deserving victims…. You know how much I appreciate a strong-willed female detective and Elisenda is a new favourite of mine. She’s gutsy and smart. Seemingly the only female detective in Girona so there’s a need for that determination. Especially as some of her male colleagues don’t think she can hack it. There are some great twists in this book. The reveal of the killer had my heart pounding. The big question is, did I see ‘whodunnit’? Was my guess right? Well…..yes, sort of and sort of not at the same time. And that’s all I’m going to say about that! You can tell that Chris Lloyd has spent time in Girona. His written representation of the city made me feel like I know the city having never actually visited; a real skill. I hope there will be more to come from Sotsinspectora Domènech. I have City of Buried Ghosts on the TBR which I can’t wait to read. City of Good Death has very much stayed with over the last year and writing this post has reminded me exactly how fond of it I am. “Ted McKay had it all: a beautiful wife, two daughters, a high-paying job. But after being diagnosed with a terminal brain tumour he finds himself with a gun to his temple, ready to pull the trigger. When I read the blurb of Kill The Next One it’s fair to say that I was hooked. I just HAD to read this book. The plot sounded totally different to other books I’ve read and I loved the idea of everything that was being presented to me. So being totally smitten with the idea of Kill The Next One, I decided to make a start on it as soon as it arrived. It’s also fair to say that I was quite surprised to be thrown straight into the action on page one, chapter one. It’s a book of over 400 pages, I thought to myself, how is the author going to eek this out? The answer to that question is by making his story, quite possibly one of the strangest, most convoluted and…well, I’m afraid I have to say it, peculiar tales I have ever read. Did I enjoy it? Yes, I did. But there were moments where I was just plain confused. And there were moments when I had to force myself to carry on rather then give up. But I’m glad I did continue. I know I would have always wondered what became of Ted McKay. I’m afraid that this is going to be one of my more bite-sized reviews as this is a book where, as soon as you start talking about the characters or the plot, you end up giving the entire book away (and I don’t want to do that). Would I recommend this book? I would, but I can promise you it’s like nothing you’ve read before. So twisty I was dizzy. I guess, thinking about it, I was a little disappointed; that blurb had me buzzing, but that part of the story is over and done with in under 100 pages. I wanted more of the ‘suicidal daisy chain’ that’s mentioned in the blurb and less…of the rest (I can’t tell you what the rest is!). However, what I will say is that I did enjoy this book. Part one is a thrilling read. I also really enjoyed the closing chapters which were just as gripping and intense, and I would actively seek out other books by Federico Axat. Particularly if he wrote one that continued the ‘suicidal daisy chain’ theme! I chose to read and review an ARC of Kill The Next One. Many thanks to Sophie Goodfellow at FMcM for providing me with a copy. The above is my own unbiased review. Federico Axat was born in Buenos Aires, Argentina in 1975. His first novel, Benjamin, was published in Spain by Suma de Letras and translated into Italian. His second novel, El pantano de las mariposas was published in 2013. La última salida (Kill The Next One) has 33 international publishers and has been optioned by a major Hollywood production company. I am absolutely delighted to welcome you to my stop on the No Safe Home blog tour. I have been waiting for the release of this book for some time now, ever since I read Tara Lyon’s brilliant debut solo novel In the Shadows last year. In the Shadows was so good that it made it onto my top reads of 2016 list. A brilliant, twisty story with one of the most appealing fictional detectives I have met in a long time. And he’s back! This is book two in the DI Denis Hamilton series and oh my gosh, it’s a corker! DI Hamilton and his team become involved in two brutal cases. The first, a young teenager who has apparently committed suicide in her bedroom. Her parents don’t believe for one moment that it’s suicide – they know their daughter was murdered. DI Hamilton’s reaction to the case is strange…unexpected and he hastily makes a retreat leaving the case in the capable yet nervy hands of DS Kerry Fraser. The second case involves the murder of a woman and her young son, left to decompose for weeks before being discovered. Meanwhile, Katy Royal is hiding something. She’s upped sticks and moved from the busy, bustling city to a leafy Hertfordshire town. She’s incognito and plans to do absolutely everything she can to stay that way. Even if it means her young son has to spend the majority of his time tucked away in their flat. But someone is watching and wanting Katy all for himself, and they will stop at nothing to find her. But is he the only one? And, most importantly, is he the most dangerous? I absolutely loved this book. I couldn’t wait to be reacquainted with the grumpy yet lovable DI. I felt whilst reading In the Shadows that DI Denis Hamilton was one of the main characters but he wasn’t THE main character. I found the man intriguing and I wanted to know more. And that is exactly what Tara Lyons has done, she’s given us a whole lot more Denis. No Safe Home provides us with DI Hamilton’s tragic backstory, we get to meet his long suffering wife and see snippets of their marriage and the after effects of their loss. He’s a lot nicer than the majority of detectives I like to read about so maybe I’m mellowing with age! The prologue is both shocking and terrifying. After reading it, I put my Kindle down, got out of bed and went to check on my sleeping children. It’s not often that a book has that kind of affect on me! From that point on I was hooked. Katy makes you instantly suspicious and you want to know exactly what she is running away from. What has she left behind in London and why? As the story progressed I began to feel a real warmth and lots of sympathy for Katy; after all, she’s just a young single mum trying to do what’s best for her son. Whilst reading the closing chapters I suddenly realised that I was holding my breath! The plot moves at a swift, exciting pace making the book hard to put down. Although this is the second book in the series I think it could easily be read as standalone as there is little to no mention of the previous case undertaken by Denis and his team. I can’t quite put my finger on it but something about this book, compared to Tara’s previous solo release, felt different. The writing style felt more self assured, more knowledgeable…dare I say, more mature? Would I recommend this book? Most definitely. It’s a thoroughly enjoyable read and I can’t wait for more DI Denis Hamilton. I can’t remember the last time I felt so much fear whilst reading…I thought reading was supposed to be relaxing! Gripping plot, great storytelling and relatable characters. I chose to read and review an eARC of No Safe Home. My thanks to Bloodhound Books for providing me with a copy and asking me to be a part of the blog tour. The above review is my own unbiased opinion. I’m extremely excited to welcome you to my stop on the A Deadly Thaw paperback blog tour. A Deadly Thaw is written by the very talented Sarah Ward and is book two in the DC Childs series. Having been released in eBook format last year it is now also available in lovely paperback as well (published 2nd February 2017). And what better way to celebrate than with a blog tour packed full of some of my very favourite book bloggers! It’s 2004 and Lena Fisher is a murderer. After welcoming her husband home and spending some hot, sweaty time in their bed together, Lena suffocates her husband with a pillow. She’s eventually arrested, stands trial and ends up in prison for 10+ years. Fast forward to 2016 where Lena is a free woman once again. She returns to her childhood home; Providence Villa – a large, crumbling, Victorian estate. Her parents are long dead but she has her estranged sister, Kat for company. Lena isn’t surprised when DC Connie Childs and DS Palmer turn up on her doorstep, after all she is a convicted felon. What she isn’t expecting is for them to inform her that her husband’s body has discovered in a disused morgue. That he is very recently deceased with a gaping chest wound and that they know the man Lena killed in 2004 wasn’t her husband. Will DC Childs and DS Palmer be able to uncover the complicated truth? When Lena goes on the run, Kat struggles to understand what is happening and exactly who her sister is. Kat’s muddle is not helped when a teenage boy, who claims to be a friend of Lena’s, starts leaving cryptic clues for Kat. Who will be the first to solve a mystery that dates back many years. And is Kat’s life in danger? Is she the only one….? A Deadly Thaw is an excellent example of how to write a gripping, multilayered, character focussed crime thriller. It’s full of secrets, family tension and bucket loads of suspense. I thoroughly enjoyed this book and will be making a point of downloading the first in the series, In Bitter Chill to my Kindle immediately after finishing writing this review. Author Sarah Ward has been on my radar for a while now. I remember seeing the reviews for A Deadly Thaw back in the Summer and being intrigued. And who wouldn’t be drawn in by that brilliant blurb. Some authors you read because…well, just because really. Other authors you read because you know deep down, that their words, their story and you will be a brilliant fit. That’s exactly how I felt about A Deadly Thaw. I don’t know where to begin with DC Connie Childs. You can probably guess that I absolutely loved her. Yes, there are two male detectives who work alongside Connie. Yes, they are also brilliantly written, essential characters. But, for me, they faded into the background. She’s the first character in a while that I’ve found to be relatable. OK, so the fawning over DS Palmer I probably could have done without but it gave an incredibly strong character a necessary weak spot (which probably made me feel for her just a little bit more). I loved the get up and go attitude, I loved the fire in her belly when it came to the treatment of the victims, I even loved her naivety – something which would drive me quite loopy in other characters. Although DI Sadler led the investigation, I felt at times that there wouldn’t BE an investigation if it wasn’t for Connie. She’s definitely high on my favourite character list and I can’t wait to see where Sarah Ward takes her in future. I found the setting to be suitably creepy and loved the eerie feel of Sarah Ward’s Derbyshire (I’m terrible at geography and have to admit to consulting a map of England to discover where Derbyshire is. Yes, I am British. Yes, I live and have always lived in England/UK/GB. Yes, I feel suitably ashamed!) Whitby also features heavily in the book and that also needed investigation as to its location (rubbish at geography!). Ward paints such a vivid picture of these grey, dank places that I can’t help but want to go and see them for myself. Bampton, Derbyshire felt like a living, breathing character. Strangely mesmirising. The plot has many different strands to it and at times it is hard to see how they will tie together. But tie together they do in an explosive, nail-biting conclusion. At times, I found myself getting quite upset by the stories unfolding in front of me. I experienced anger as well, at the injustice and poor treatment of the victims. It’s quite a shocking and unsettling read, but oh so good! Would I recommend this book? Of course I would! But prepare yourself for a lot more than you expect. Sarah Ward knows how to tell a brilliant story and I can’t wait to read more from her. Dark, creepy and highly addictive (and I may be a little bit in love with DC Connie Childs). I chose to read and review an eARC of A Deadly Thaw. Many thanks to Faber & Faber and NetGalley for providing me with a copy. The above review is my own unbiased opinion. I’m the author of two crime novels In Bitter Chill and A Deadly Thaw which are set in the Derbyshire Peak District where I live. They are published in the UK by Faber and Faber and by Minotaur Books in the US. 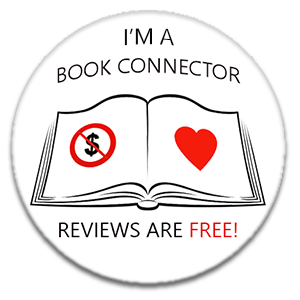 In addition to this blog, I have reviewed at the Los Angeles Review of Books, crimesquad.com and Eurocrime. Articles and short stories have appeared in the Sunday Express magazine, Traveller and other publications. I’m one of the judges for The Petrona Award for the Best Scandinavian Crime Novel and I particularly love reading translated crime fiction.